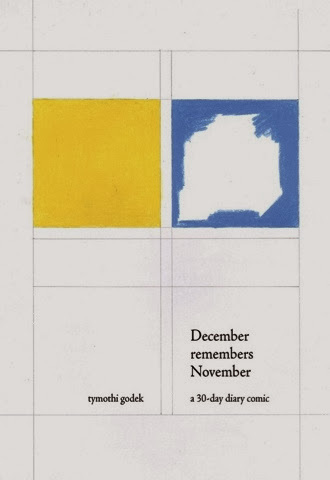 It's called December remembers November and it's a collection of the strips I drew for Thirty-Days-of-Comics last year. 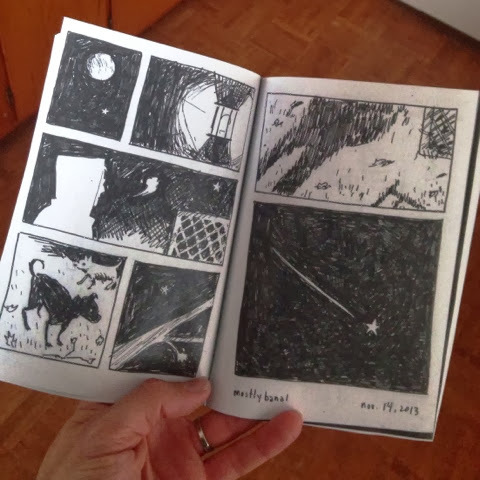 Like the previous two years that I participated in #30dayscomics (that's what the kids call it on Twitter and whatnot), I drew a daily diary strip. Unlike the previous two years, I went at the month with an agenda. I wanted to make an effort towards a (cohesive) collection this time. I decided to focus on the themes of memory and nostalgia and build an internal vocabulary of picture-symbols, a framework to muse on the nature of anamnesis. I worked ad-hoc, as usual, with the intention of editing it all later, jumbling the chronology. Mixing past and present, symbolic and literal. 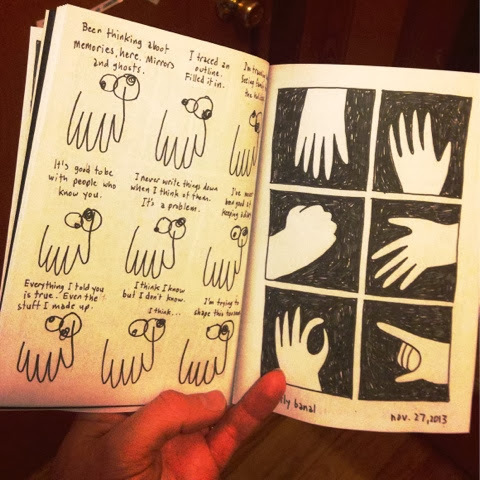 I was way into this band, Speedy Ortiz, so I wrote a bit about that. Our cat died. We had to put down our dog. My plans for the strips turned around and around. I almost gave up a couple times. I started picking up on certain consonances in my everyday life. Coincidences and parallels that fit into the framework I'd set up. Probably because I was thinking about it so much. I dunno. Anyway, I made it through the month drawing two pages each day. This book is the result. 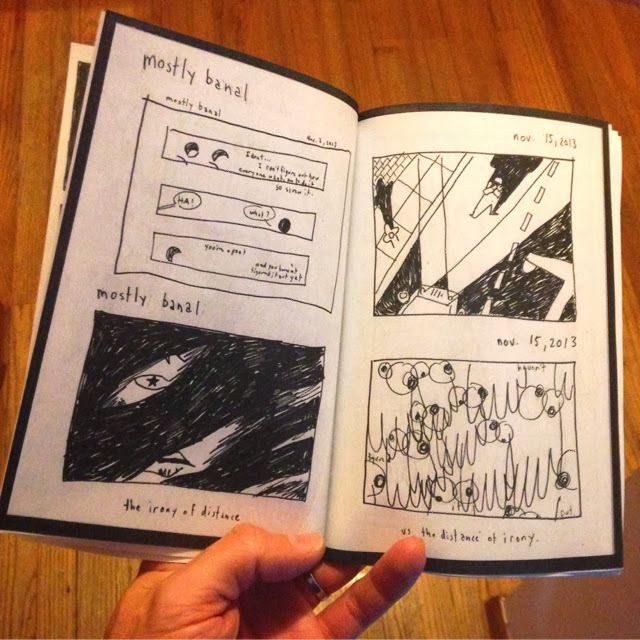 Sixty pages of strips on memory, nostalgia, dreams, amnesia, music, and death. 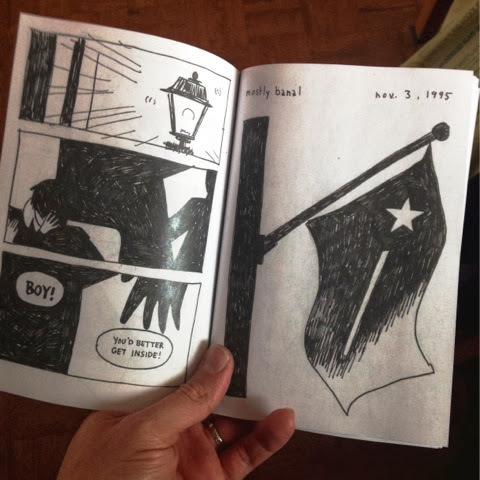 I've had a small run printed, and available for sale. Here's a few samples of some spreads from the finished book. Please consider ordering a copy. I have other books available too.